Come check the school out. You’ll find a fun, informal and friendly atmosphere. We think you’re going to like it! The only school in Chicago and one of the few in the United States with a direct link to the Ip Man Lineage of the Ving Tsun (Wing Chun) system. 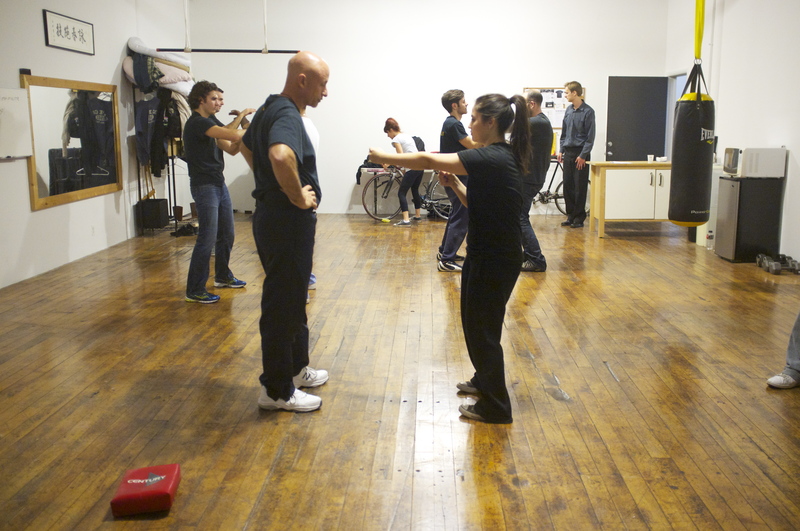 In each class you will get expert instruction in all aspects of the Ving Tsun Kung Fu system. Forms, application in self defense situations, Chi Sao practice, Wooden Dummy, weapons training and sparring at the appropriate level. Scheduling your visit is easy. 1. Call Sifu Matt at (773) 301-6257 or use the form to request a time to come visit the school. Please be sure to include your email in the body of your note as WordPress is experiencing some technical issues. Thank you. 2. During your visit you’ll learn about our style of kung fu, self defense and get a sense of what studying at the Ving Tsun Self Defense Academy is like. We’re happy to answer any questions you might have. Feel free to talk to our students during your visit too. 3. If it feels like a good fit for you and for us, we’ll invite you to try a FREE class. This gives you the chance to experience first hand what it’s like to study at Chicago’s best Ving Tsun school. You’ll be introduced to some basic Ving Tsun kung fu techniques as well as concepts of the system; see how Sifu Matt teaches; enjoy the atmosphere of the class and talk to the other students about their experiences. After this, if you decide you would like to train at the Academy (and we’re sure you will!) we’ll give you an enrollment form and you can get started on your martial arts journey right away.